Lisa has lived on the Emerald Coast since 2006 and fell in love with the area after visiting family when she was 13. Born and raised in Iowa, she began her career in health care as a nursing assistant. After moving to Santa Rosa Beach, Lisa became the Patient Access/Revenue Cycle Manger for Sacred Heart Hospital in Port St. Joe and Destin, then held the Business Operations position at Sandestin Executive Health and Wellness Center. 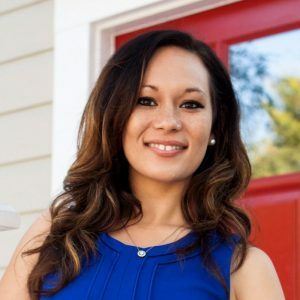 With a lifelong passion for real estate sparked by helping her father flip houses and manage rental properties, Lisa received her real estate sales license in 2015. She worked with Vector Real Estate and DR Horton before joining the Nathan Abbott Team. Her real estate and life experiences provide her with a tremendous amount of knowledge about pre-construction homes, the Destin and Santa Rosa Beach areas, and local resources for families with children. Living in Santa Rosa Beach with her kids is a daily reminder of the beauty and peacefulness of the Emerald Coast. Lisa’s passion for people and to assist them achieve their real estate dreams is the back bone of her real estate career. Lisa always goes above and beyond for her clients.